Inspired by the abundance of awesome sci-fi vehicles in James Cameron’s Avatar, Marius Herrmann constructed the AT-99 “Scorpion” Gunship from the film. 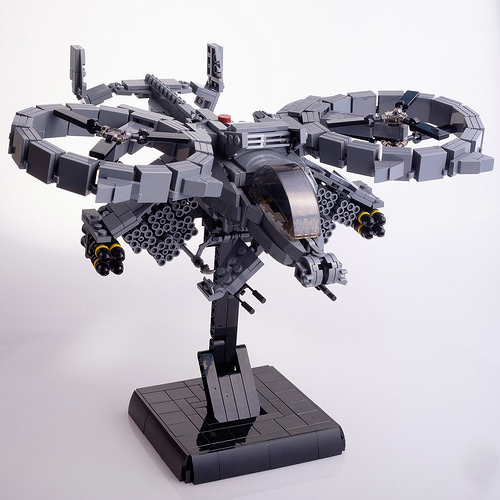 The whole build looks as true to the film’s AT-99 as can be built from LEGO; from the massive iconic rotors, to the fuselage shape, and even the overkill payload. The gunship model appears menacing from all angles; see more shots of the AT-99 here.